Inja was a handsome dynamo. 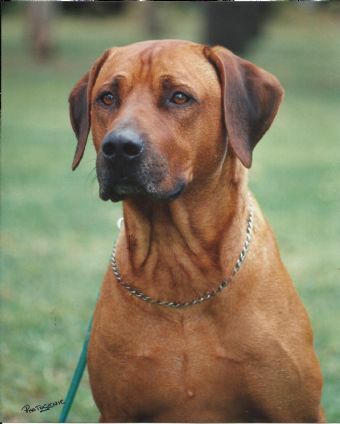 He was our first attempt at breeding in Australia. Wow what a Dog!! 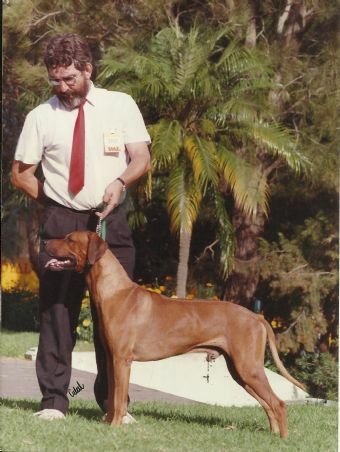 He had some wonderful wins on his way to his Grand Champoinship including a BEST IN SHOW with an entry of 2500 dogs at the show. He was handed the job of looking after our kids until we got home from work, he took this very seriously. Nobody could come near the house if we were not home. Inja in the showring ws also well known for his antics, there was not a dog around in those days that he did not have great ambitions of conquering. If a white standard poodle was around, he was a shameless flirt. Inja took out many Best ezxhibit in groups and classes in show Alway with great vigour. His progeny went on to be just as enthusiastic about their wins. Inja is still very missed in this house.